In 2015, Katie Dawson went to Arusha, Tanzania for three months, where she volunteered at POSA, a small daycare in Usa River. It was during this time that she realised how important sponsorship is, it's the chance for a child to get a real education. 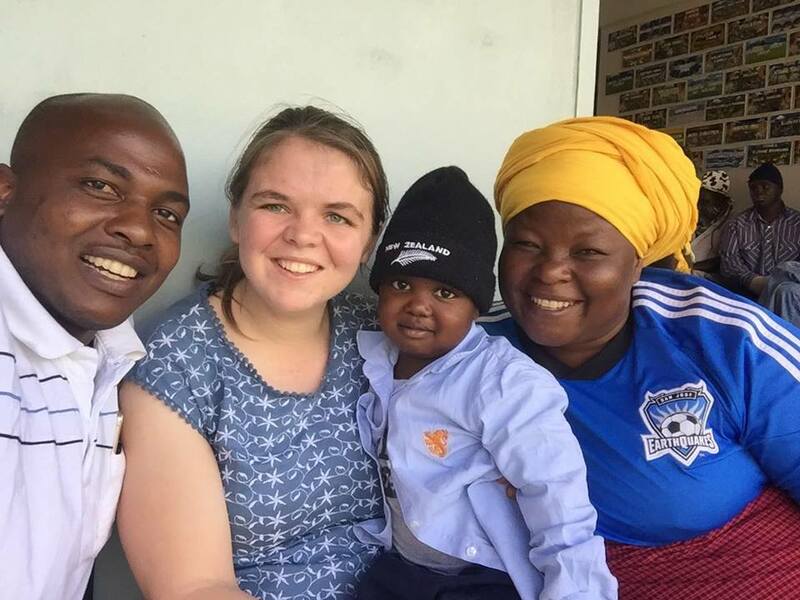 This is when Katie first decided to organise sponsorship, starting with three children she met at POSA. Over the years, she spoke to people about the benefits of sponsoring and began further assisting people who wished to sponsor children in Tanzania. In August 2016, Katie accepted a job as the Senior Volunteer Coordinator for Tanzania Volunteer Experience - the organisation which she had volunteered with the previous year. This is how she and Emma Parsons came to meet Johnny. Emma Parsons was volunteering in Tanzania on a medical placement, within a government hospital. Shortly after she had started this placement, a two-year-old boy was brought into the hospital, who had suffered third-degree burns on over 40% of his body. Emma and Katie then decided to move him to a private hospital, where he began extensive treatment for his burns, including two surgeries. Together, they successfully raised over $6000 for his treatment, in order to ensure that Johnny received the best possible care for his injuries. Afterwards, they relocated Johnny to the ‘Meserani Snake Park Clinic’ - a clinic which is free to the community. It was set up and funded by a South African family living in Tanzania. They chose this clinic as it had great experience in dealing with burn patients and were better equipped to deal with Johnny’s situation. After Johnny’s burns had healed, the girls then moved him to ‘Plaster House’ in Ngaramtoni. This was in order for surgery to be carried out on his contractures, which resulted from his extensive burns. This surgery was carried out by several American surgeons who come to Tanzania each year with ‘Plaster House’, to perform surgery on burn victims. Consequently, if Emma had not been volunteering at the government hospital during this time, it is likely that Johnny would not have survived. Johnny is just one of so many children in Tanzania whose family simply cannot afford their medical bills or funds for treatment. There are so many children like Johnny who cannot afford the medical care they need. We want to help as many people as possible so that they don't have to suffer.